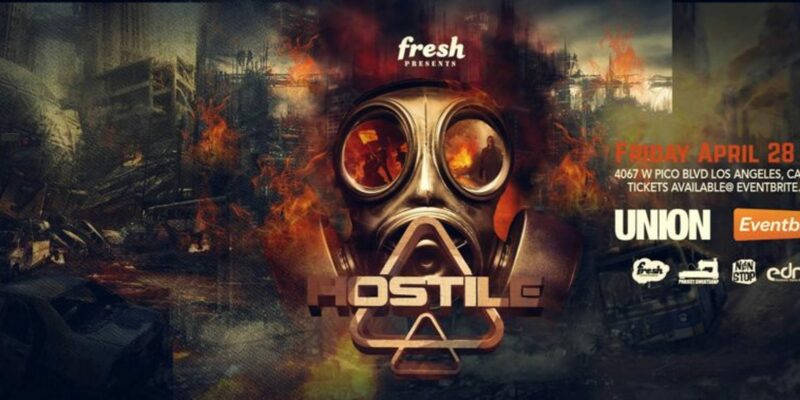 Los Angeles, CA — Fresh Entertainment’s fifth installment of Hostile, on April 28th at the historic Union in Los Angeles is set to be the biggest one yet. 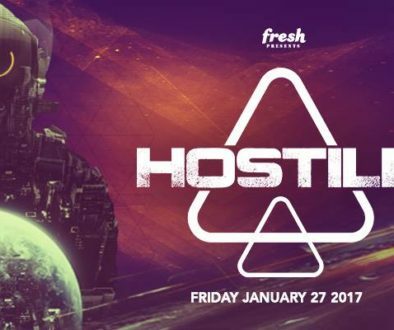 Fresh’s newest sub-brand, Hostile, has been welcomed into the Los Angeles dubstep scene with enthusiasm and excitement from fans. Hostile is set to cater to a variety of dubstep enthusiasts, spanning over five hours of resonating beats from prominent up and comers, and two first time Los Angeles performances. Headlining artist Squnto is a rising force, releasing eight signature song chopping tracks, receiving support from top-tier artists such as Excision and Trampa. Known for his signature flow and style, the 20-year-old sensation Infek spent 2016 making rounds at European dubstep festivals such Invaderz, Drop In Bass, and Night Grinderz, with the Monsters Crew. The co-founder of Savage Society, Blankface, is once again returning to Hostile with his signature gritty sound which has been featured in sets by prominent artist 12th Planet and Funtcase. Joining him for a back-to-back set is Definitive who regularly mixes on four decks making him a true DJ that destroys dancefloors all over the world with anything from 808’s to drum and bass. Making his long-awaited Los Angeles debut is Codd, who has been making waves for his Sewer Sessions performances and forthcoming collaborations with from Helicopter Showdown, a former Hostile performer. 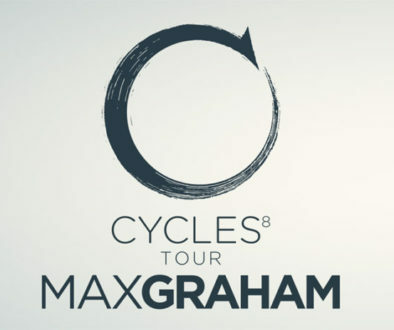 Rounding out the Hostile stage is badman Yakz, coming off his debut Australian tour and recent collaborations with Chibs, Sudden Death, and Al Ross. 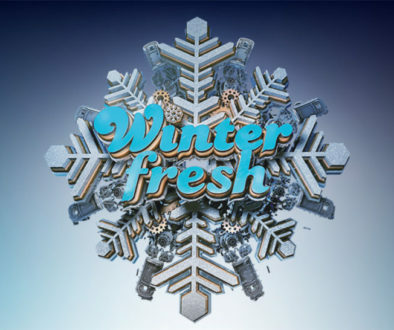 Fresh Entertainment has been fortunate to quickly garner success and dedication from within the Los Angeles dubstep community. With every event, Hostile continues to grow as a source for fresh sound of heavy and innovative basslines.